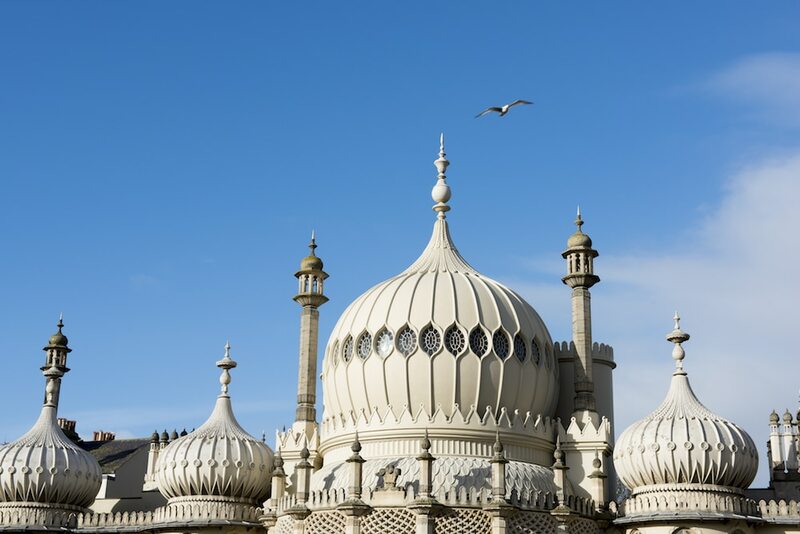 The Royal Pavilion is probably Brighton’s most iconic landmark – a central focus for all who reside and visit the city – with ornate rounded rooftops and a fantastical silhouette around which the city swirls. 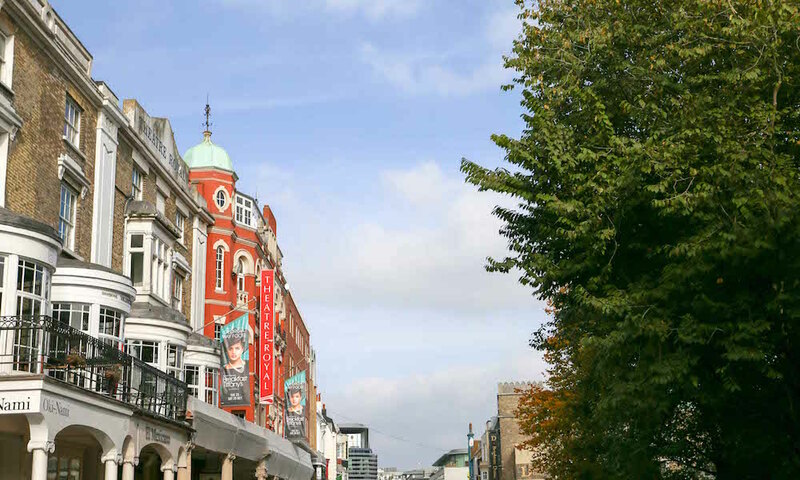 It is a jewel in Brighton’s crown with a fascinating history that reveals not only an interesting story of its own creation and development, but glittering treasures about Brighton’s own evolution as the place we know and love today. 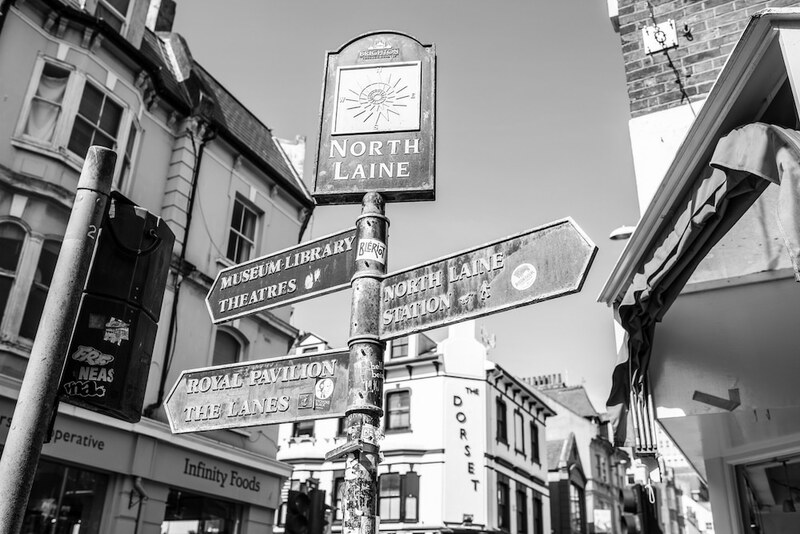 A central figure in the story is George, Prince of Wales, an arty but extravagant and vain character, who first visited Brighton in his twenties during the 1780s. 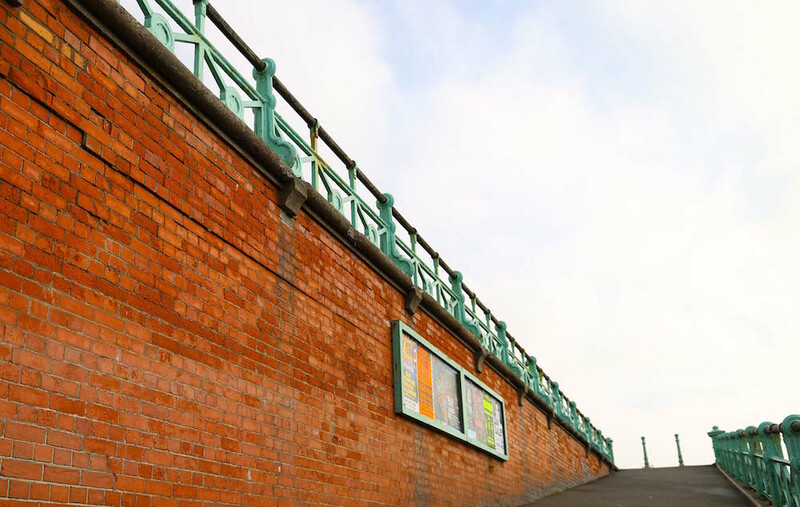 Brighton captured George’s heart and imagination from the outset so he acquired modest lodgings overlooking what was a fashionable promenade. This meant he racked up big debts. But in 1787 the House of Commons agreed to clear any monies owed and increase his income, so George started decorating and increasing the size and opulence of his more ‘humble’ abode so that it was more suited to his improved status. He hired architect Henry Holland to upscale it into a villa, which became known as the Marine Pavilion, then in 1808 added a glass and lead-domed roof and a stable complex for 62 horses. In 1811 George was sworn in as Prince Regent after his father became too ill to fully reign and his home was improved accordingly with help from 1815 onwards by architect John Nash, who upscaled the building into the oriental-style palace it is today. George’s impact and influence on Brighton was remarkable. Despite being a cad with a mixed reputation and tenuous grip on his Royal purse-strings he did a lot to boost interest and work in the town. 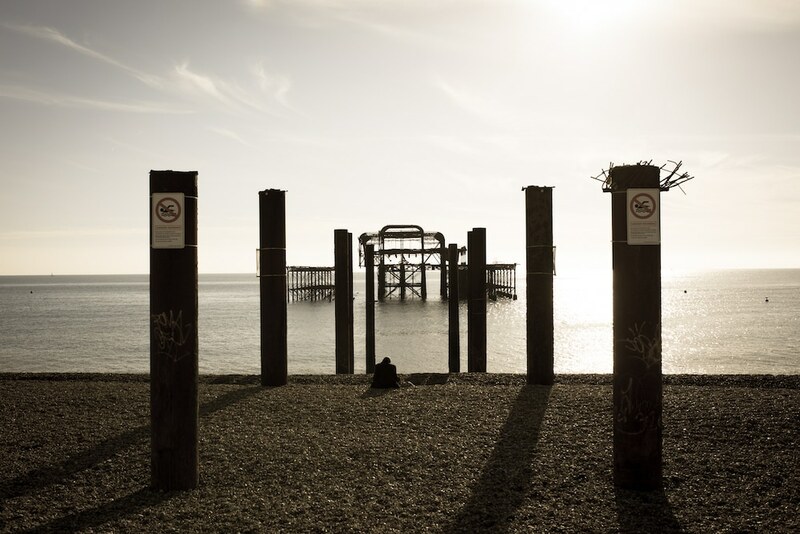 This put Brighton firmly on the map artistically and economically. The Pavilion’s ongoing construction work provided much-needed opportunities for tradesmen, labourers and craftsmen and the town’s population exploded, growing sizeably from around 3,620 inhabitants in 1786 to 40,634 in 1831. Sadly, George’s ability to truly enjoy his residence lessened as the years passed, while his responsibilities grew but his health declined. In 1820 he was crowned King, and although the interior of the Pavilion was finally completed to his taste and vision in 1823 he only visited again twice in 1824 and 1827 and then died in 1830. 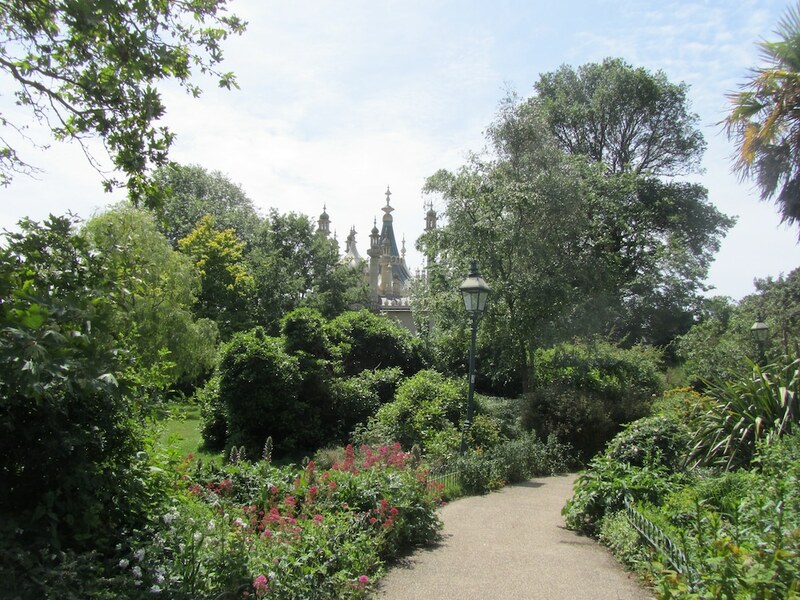 He was succeeded by his brother William IV, who continued to visit and stay at the Royal Pavilion, then when he died in 1837 his niece and successor Victoria visited and stayed there too, much to Brighton’s delight. 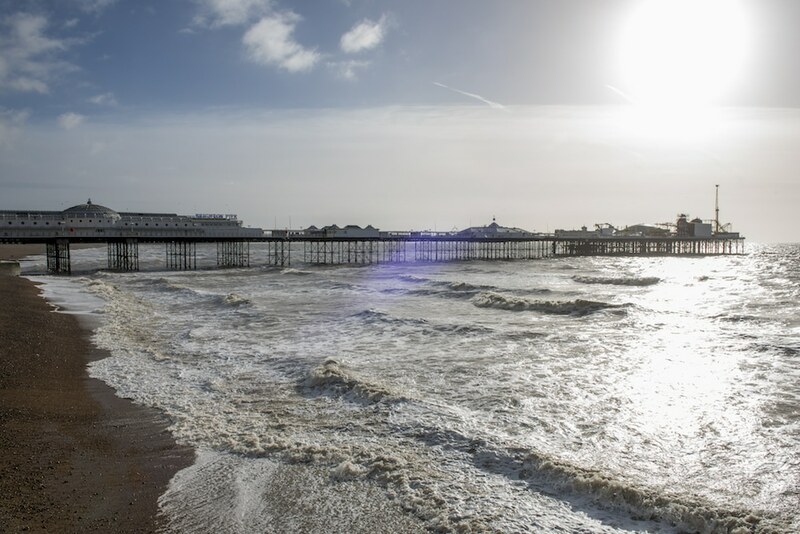 Victoria didn’t approve of her uncle’s extravagance, however, so in 1850 she sold the palace to the town of Brighton for £50,000 and it continued from them on to be used for events and conferences and open to visitors, who’d pay a sixpence to look around the interior: all the while Brighton as a town flourished. During the First World War it was repurposed for a while, when it was used as a hospital for Indian soldiers, which resulted in it being damaged in parts and the interior altered slightly. 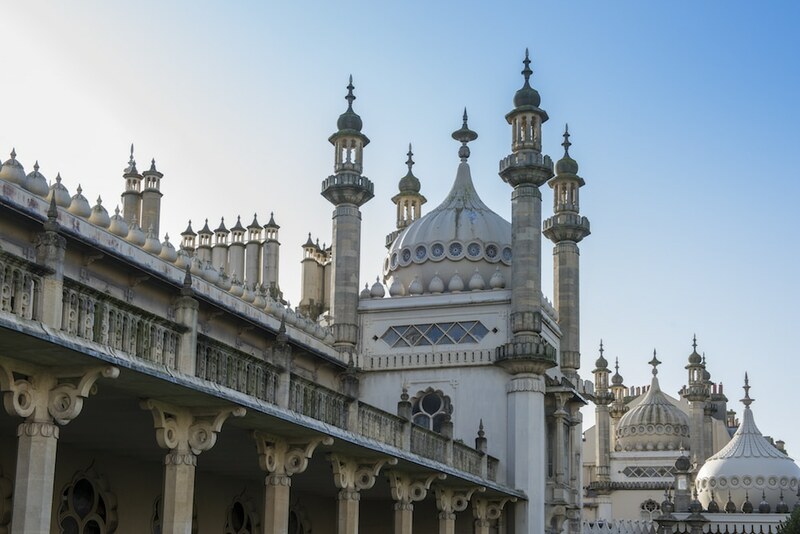 Restoration work started in 1920 and although there have been some additional setbacks since, including an arson attack in 1975 that badly damaged the Music Room, the Royal Pavilion is still today a glorious testament to style and Brighton’s rich history. One of the highlights of a visit is the fully restored tearoom on the upper level, which has a gorgeous sun trap of a balcony overlooking the magnificent gardens. Depending on the time of your visit you can enjoy elevenses, lunch, afternoon tea with sandwiches, cakes and scones and Sussex tea blends or a herbal equivalent – or just pick something from the all-day menu. 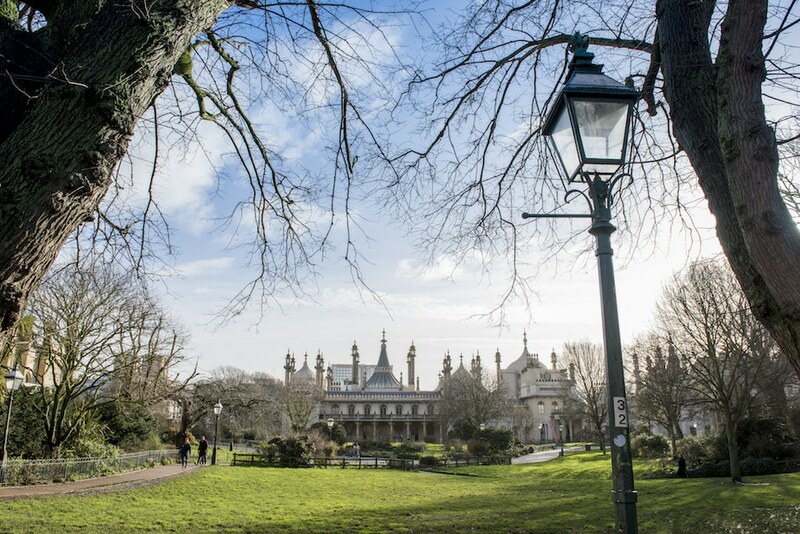 General admission to the Royal Pavilion and tearooms can be booked here.